Diogal's songs are imbued with sounds originating from Senegal, while being part of a mixed western folk style. It is in Wolof that Diogal deplores exclusion and individualism. 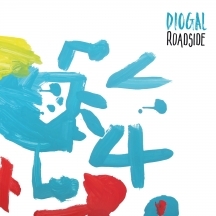 In his new album "Roadside", he calls for kindness, sharing and mutual aid. It encourages everyone to have a positive vision of what we have, rather than live in greed and frustration, and live in respect for others and the Earth. With this 5th album, Diogal returns to the realization of acoustic albums, in a more refined style.